For the latest alerts and updates, follow us on Facebook and Twitter. 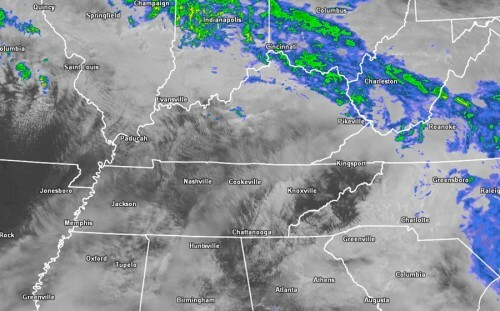 As expected, this morning’s showers have moved out of the region and cloud cover is shrinking. This will allow sunshine to heat up the lower atmosphere and increase instability. We may see a few isolated strong to severe thunderstorms before 7 PM, but the most-threatening storms will not arrive until later this evening and possibly after dark. 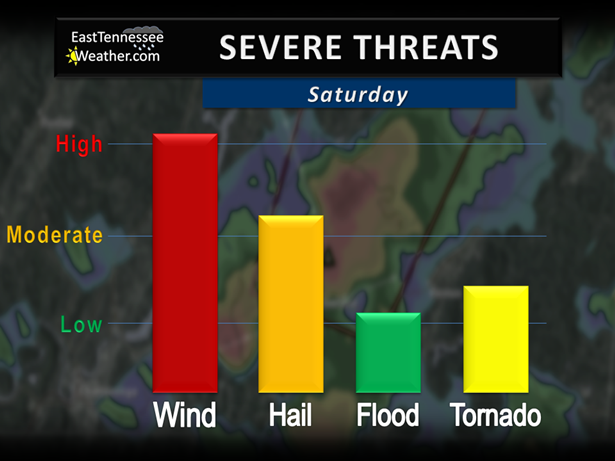 All modes of severe weather remain possible. The main threat is widespread damaging winds. Large hail will likely accompany some storms. Isolated tornadoes are also possible. HRRR model shows a line of strong to severe t-storms moving into the region around midnight. Isolated to widely scattered severe thunderstorms are possible through 7 PM. However, the stronger storms will not arrive until later this evening. Northeast Tennessee may experience a small wave a strong to severe storms between 6 and 10 pm. 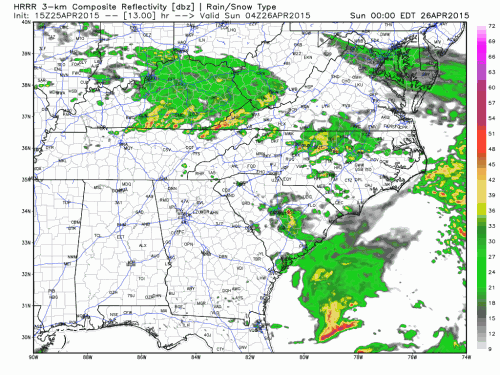 Then, approaching midnight, a line of strong to severe t-storms will move SE from Kentucky into East Tennessee. This wave will likely pose the greatest threat to the region and will impact Northeast Tennessee, the Central Valley, and locations near the TN/KY line through the early morning hours. A little bit has changed since our last forecast. The threat area is more narrow. Most of Southeast Tennessee has been downgraded from a Slight Risk to Marginal. Previously, the Central Valley was included in the Enhanced Risk, but now has been downgraded to a Slight Risk. Still, locations along the TN/KY border will see the greatest chance for severe weather this evening. The main concern is still widespread damaging winds. 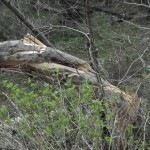 Winds in excess of 60 mph will be capable of downing power lines, toppling trees, and causing property damage. Large hail over an inch in diameter will likely accompany some storms. While the tornado threat is not the primary concern, isolated tornadoes are possible and the threat should be taken seriously.